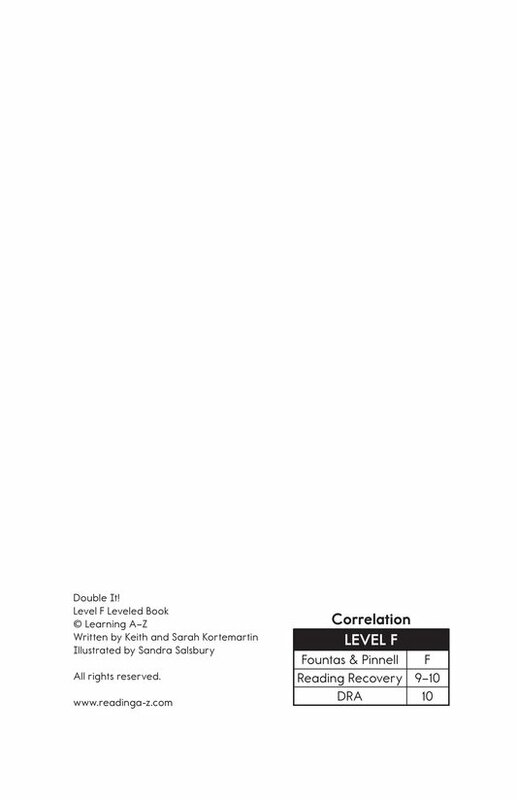 > Books > Leveled Books > Level F > Double It! 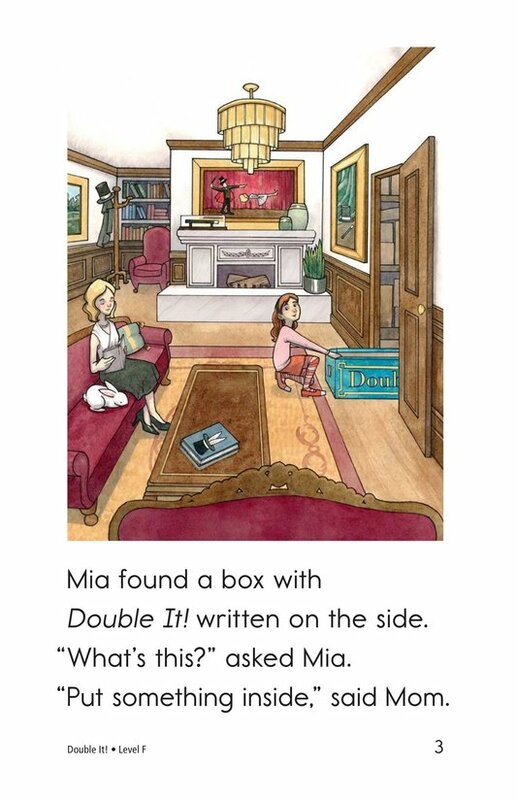 When Mia finds a box with Double It! 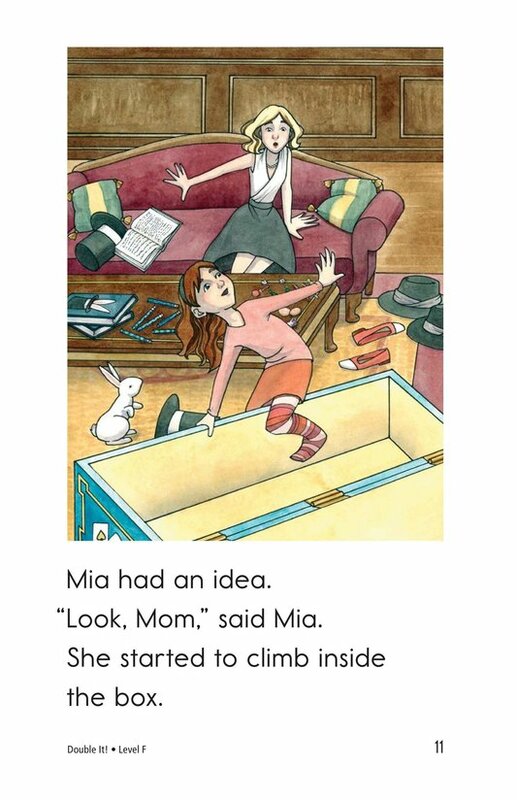 written on the side, she asks her mom what it does. 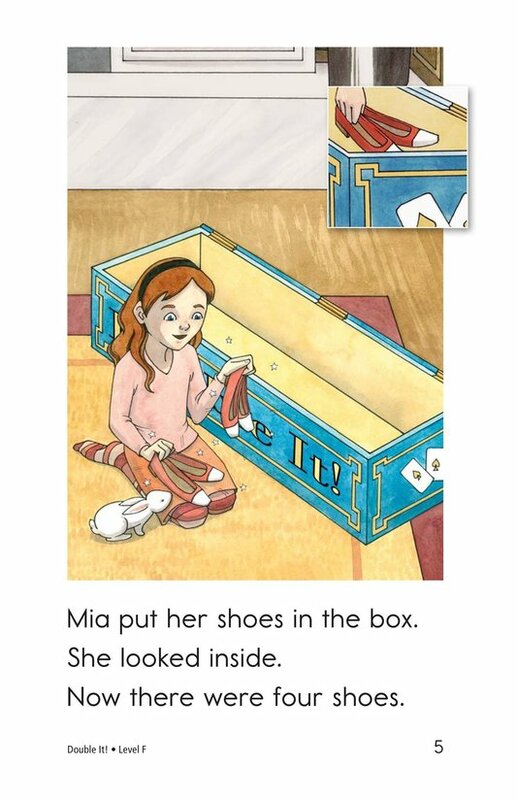 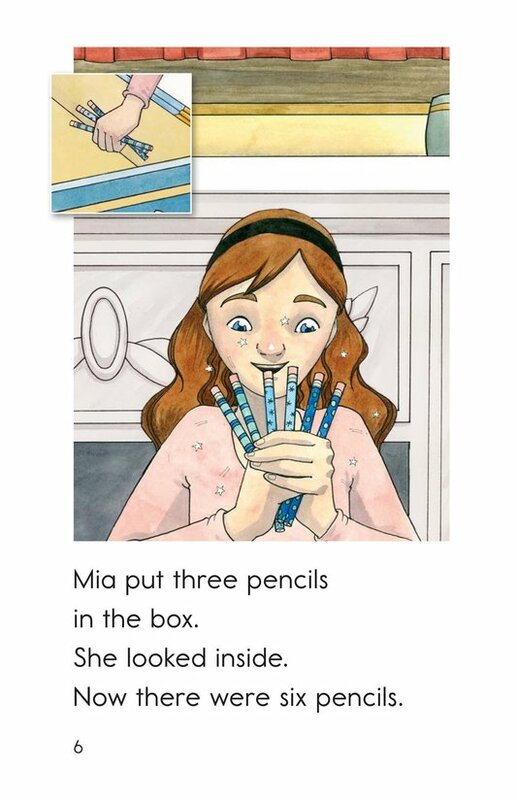 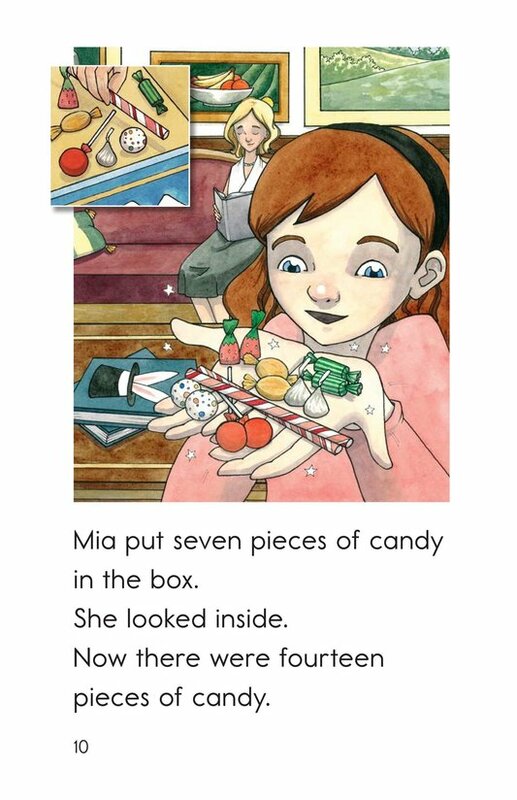 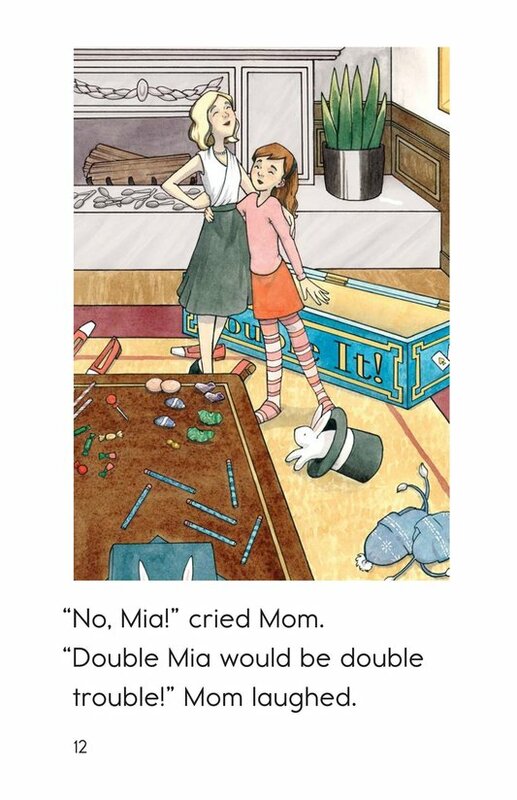 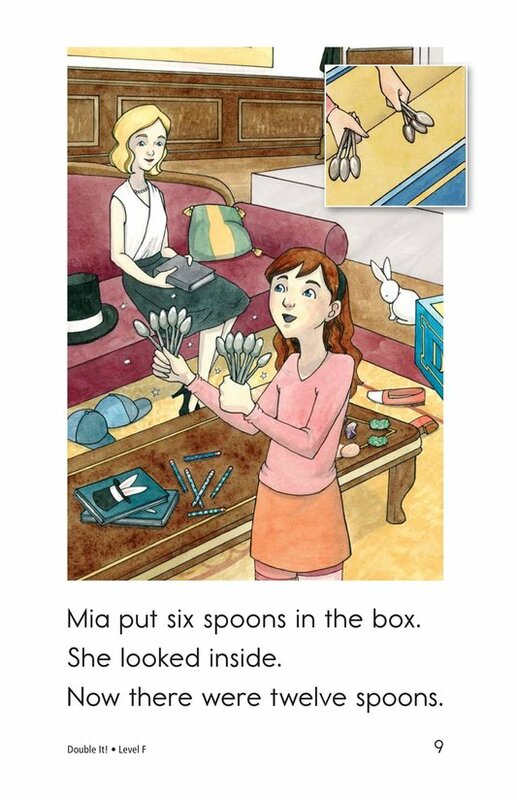 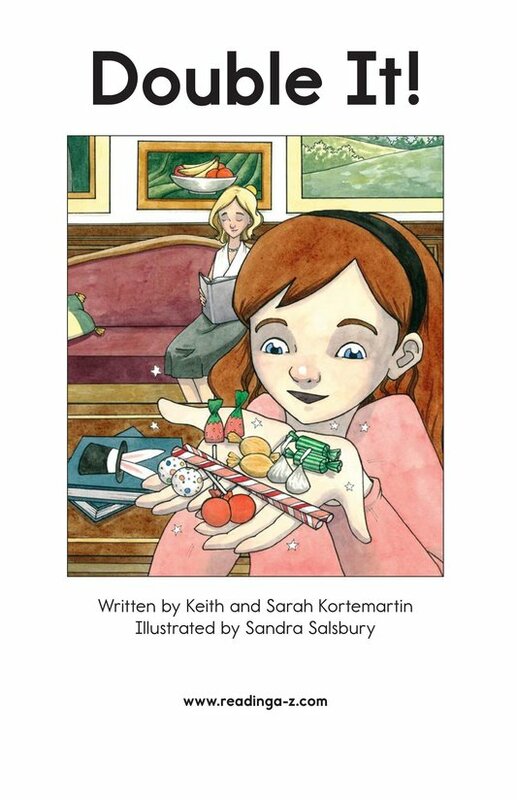 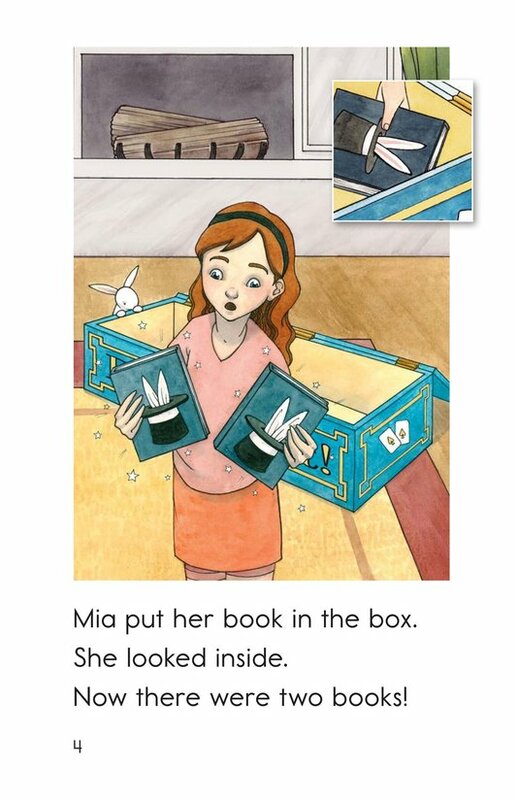 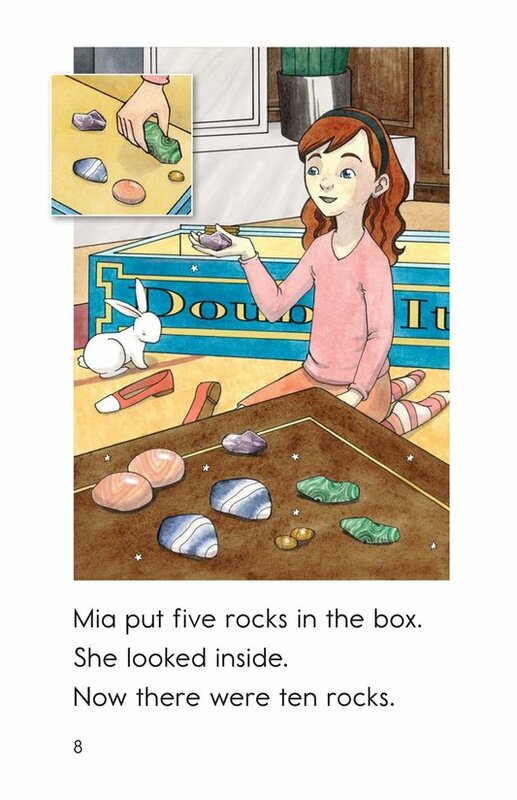 Her mom tells her to experiment, and Mia quickly learns that their box is magically wonderful! 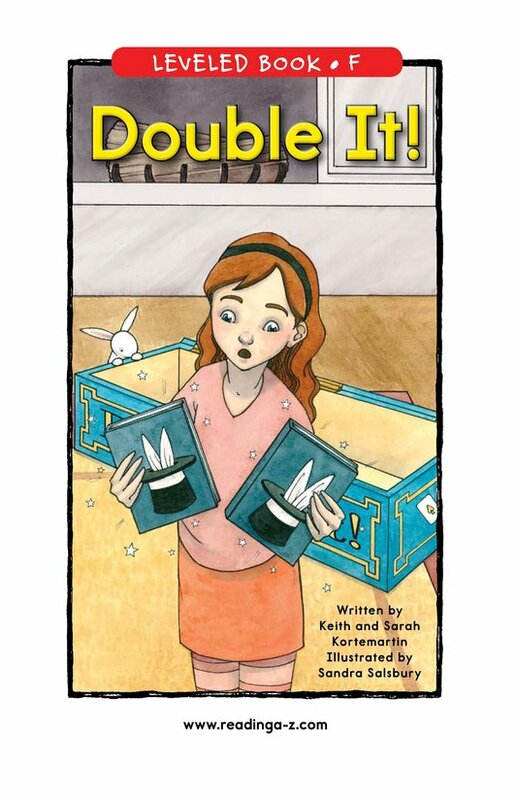 This fantasy story teaches a basic math concept beneath the fun plot and can be used to explain cause-and-effect relationships and simple subjects. 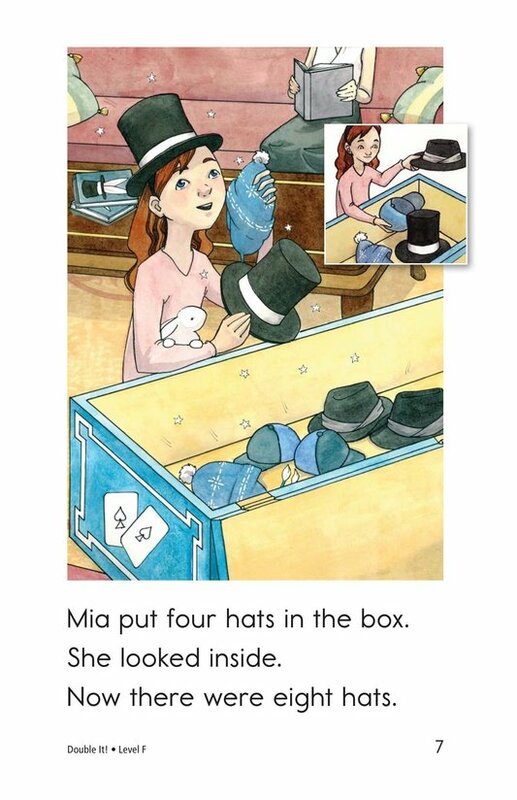 Charming illustrations accompany the story and visually reinforce the math involved.